While officials say there are no specific threats to the city, the NYPD and federal authorities are taking precautions and keeping a close eye on malls across the country following a videotaped threat from an al-Qaeda affiliate. Al-Shabab is urging Muslims here in the U.S. to carry out terror attacks at shopping centers, specifically naming the Mall of America in Minnesota. The rebel group is also targeting locations in Canada and England. Minnesota is home to the largest Somali population in the country. Authorities say since 2007, nearly two dozen Somali men from the state have traveled to Somalia to join al-Shabab. 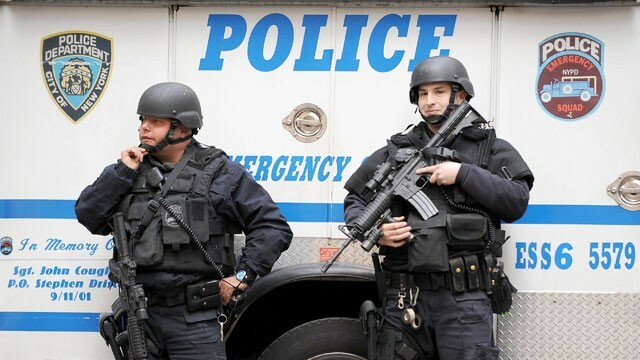 While officials say there are no specific threats to the city, the NYPD is taking precautions. That includes readying their Critical Response Vehicles and “Hercules” special counter-terrorism teams. Police say they have also been in touch with their international and federal liaisons. Homeland Security Chief Jeh Johnson is warning the public to remain vigilant.